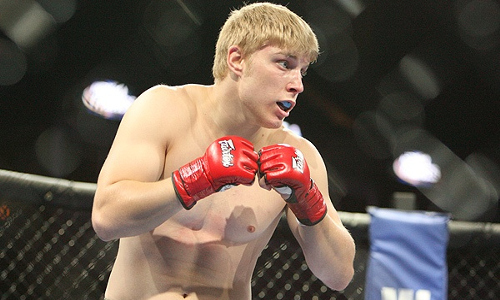 A UFC newcomer, Mike Stumpf, will step in to replace the injured Daniel Roberts to face TJ Waldburger for the upcoming UFC Fight Night. UFC =announced on Monday that a newcomer, Mike Stumpf, will replace Daniel ‘Ninja’ Roberts to face TJ Waldburger for the UFC Fight Night 25. The said move was done after Daniel Roberts was pulled out of the match due to injury. Based on sources inside the latter’s camp, the fighter suffered an injury while he is on training. However, the nature and severity of the injury are unknown at this time. Replacing Danile Roberts’ place will be Team Curran fighter, Mike Stumpf, who will make his UFC debut with an 11-2 record overall. He has fought in several promotions over the years but primarily in the Midwest based XFO shows. The bout between Mike Stumpf and TJ Waldburger will remain on the preliminary portion of the show taking place in New Orleans this weekend.